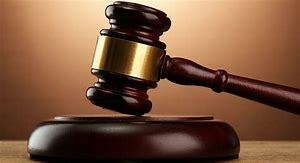 A HABITUAL Chipinge burglar has been jailed for two years for theft of goods worth over $600 in Buhera and Bikita after being given a charm by a prophet to evade arrest. Tinashe Mutete was convicted on his own plea of guilty to seven counts of unlawful entry and theft when he appeared before Chipinge magistrate Joshua Nembaware. He was sentenced to three years in prison of which 12 months were conditionally suspended for five years. In addition, he was also fined $50, failing of which he would spend an additional five days in prison for illegal possession of dagga. Mutete told the court that he went on a housebreaking spree after he consulted a prophet in Buhera who gave him a charm to evade police. “I was charged $50 by the prophet from Buhera that he would sort out for me so that I won’t be arrested. That’s why I went on this spree because I believed I was not going to be arrested,” Mutete said. The court heard that between February and March 21, Mutete went on a house-breaking and theft spree in Buhera and Bikita. In the first count, Mutete went to Enia Jawawa’s homestead in Makanzwei village under Chief Chamutsa in Buhera where he forced open a bedroom door and stole two amplifiers and cash. The following day, he broke into Peter Chauke’s house in the same village and stole some clothes and a cellphone. He stole two 20-watts solar panels from Isaac Chauke’s homestead on the same day before proceeding to Bikita. Using the same modus operandi in Bikita, he broke into Kesiya Bhegedhe, Shingirai Bungu, Patricia Ndawana and Tebetha Kusina’s homesteads and stole various goods.